Vendors talk about the need for transformation, but many companies wait too long to make necessary changes to remain competitive and relevant because they lack the courage to take risks. Everyone is talking transformation. 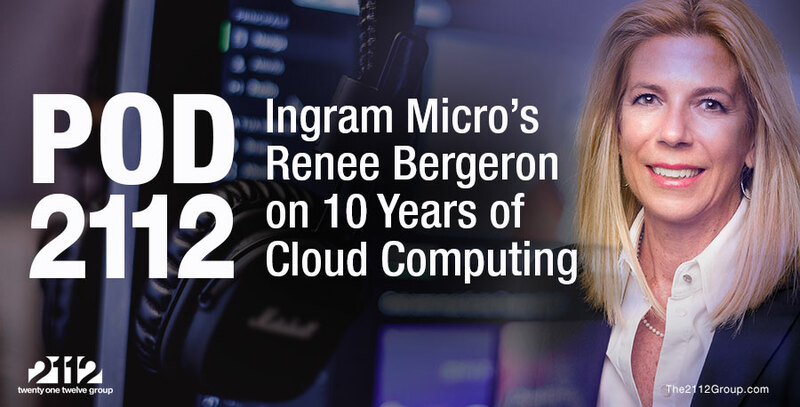 No longer is the conversation limited to cloud computing or mobility. Transformation encompasses the totality of the digital experience, with technology vendors and partners providing the tools and support to capitalize on the immense volumes of data generated by the digitized enterprise. Getting to this future state means changing business and revenue models, go-to-market strategies, partnership relationships, and marketing messages. It’s not an easy or non-disruptive undertaking. Someone asked me recently whether legacy hardware and software vendors still have time to transform to maintain short-term competitiveness and long-term relevancy. “Short term” means today. “Long term” is just a few years down the road. With the pace of change increasing, the expectation is that the world will look vastly different in just three to five years. An example of why vendors need fortitude to exercise courage is @Microsoft. Change isn’t always easy, especially when current strategies and operations are generating positive revenue and profits. Decision-makers are easily lulled into stasis because they’re meeting contemporary expectations. The future is someone else’s problem. An example of why vendors need to find the fortitude to exercise courage is Microsoft. This week, the Microsoft faithful gather in Washington, D.C., for the annual Inspire event (formerly the Worldwide Partner Conference) to hear about the software (and now cloud) giant’s latest innovations and programs. It’s an important event, and given how things have changed in the nation’s capital since the last time the conference was held there, it’s apropos that transformation is the central theme. Microsoft did transformation the wrong way. In 2010, the vendor was launching Windows Phone 7 and talking about taking the fight to Apple in mobility. The cloud was a thing, but it wasn’t nearly at the forefront as it is today. Microsoft, still under the leadership of Steve Ballmer, was about selling product across a host of domains – consumer, SMB, midmarket, enterprise, verticals, mobile, cloud, and legacy. Microsoft was unfocused as it tried to maintain its glory from the days of Windows dominance. While it still has cloud and mobile ambitions, Microsoft is increasingly turning its attention toward “digitalization.” In the digital era, data is the raw material of the information age – just as gold drove the age of exploration, and coal and oil drove the industrial revolution. Microsoft aims to become the engine that converts raw data into automated processes and actionable intelligence. Microsoft reorganized its structure and sales force last week – resulting in 3,000 job cuts – to direct more resources to sales teams that can drive the digitalization experience. To achieve greatness vendors need courage to take risks & push the envelope of change. The difference between Ballmer’s Microsoft and the company led by Satya Nadella is courage. Ballmer was all about maintaining state and defending legacy. Ballmer just couldn’t let go of the things that no longer worked, such as Windows anchoring every product. Nadella deftly and quickly transformed Microsoft into a cloud powerhouse and, given the trajectory, a digitization powerhouse. Nadella unshackled Microsoft so it could regain its place among the drivers of the new economy – Amazon, Google, Apple, and Facebook. Exercising courage is a form of “risk management” or “risk acceptance.” One of the biggest problems vendors face is risk. Too often, incumbent technology vendors make decisions in the vein of Ballmer’s thinking – defend what we have, avoid losing. But such thinking is a losing proposition. Avoiding change will ultimately undermine the ability to embrace such change when necessary, leaving a company unable to compete amid disruptive forces. The courage exercised by Nadella nearly happened too late. Even as Nadella ascended to the CEO’s office, analysts and customers were already writing off Microsoft as obsolete. It’s taken a tremendous amount of effort to change Microsoft’s strategy, culture, and products and put the company back on solid footing. Having the courage to make changes sooner would’ve saved Microsoft and its partners a lot of heartache. Microsoft is hardly alone in being late to find transformational courage. Many legacy companies waited too long to make the changes they needed to remain competitive and prepare for their future states. Some have already failed and are facing their ultimate demise. If Microsoft demonstrates anything, it’s that a vendor can exercise courage late and still get to (or toward) the desired state. What makes a vendor truly great? Tremendous innovation? Great products? Competitive prices? Exceptional partner programs? A positive corporate culture? Yes, these are elements of great companies, but to achieve greatness, vendors first need the courage to take risks and push the envelope of change.